98) Seven Tapes: 1. and 2. 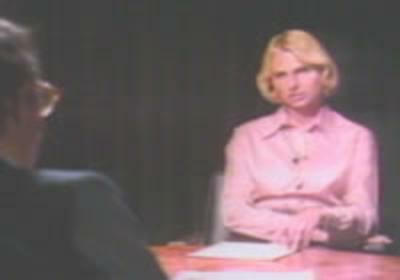 Perspectives in Public Housing, Tapes 1 and 2, host Richard Lauck, 10 July 1978 3.Interview with Ed Chenevert, Portland Public Library, host Art LaFrance 4.Interview with Ed Bernstein, Portland City Council, host Bill Coogan 5.Roundtable interview, Women in Politics. Hosts Judy Tizon, Bobbi Coogan, 5/8/78 6.Interview with A.J. Wilson, Portland city manager/Interview with J. Holtenhof, assistant city planner, Riverton Park. Hosts J. Tizon, Bill Coogan. 7.Coastal Planning Hearings, Port Development, host Art LaFrance. video (approx. 3000 min.) : si. and sd., col. ; 3/4 in. Collection contains factual works such as: "Greater Portland's Heritage," on the history of Portland; two documentary series on the Portland landmarks and neighborhoods hosted by Earle Shettleworth, using primarily still images; "Maine Audubon Series" about bird feeding, whales, salt marshes and eagles; "Symposium on Art and Aging;" "Maine State Budget Hearings;" and, "Allie Ryan," a ten-part series about this maritime collector and historian. "She Knew a Phoenix" concerns poet May Sarton, and "Todd Webb, Photographer" is about a Portland resident who photographed the American West. "Muskie Roast" honors Edmund S. Muskie at the Eastland Hotel in Portland, attended by William S. Cohen and Joseph E. Brennan. Collection also contains interviews, instruction and advertising: "Upbeat Downeast" featuring Portland and other Maine figures; an instructional program on American Sign Language; and, commercials promoting the Maine State Lottery and Shaw's Supermarket. [Westbrook Junior College] is a videotape copy of film footage of Westbrook activities ca. 1939. Westbrook College is located in Maine near Portland. An independent college, it subsequently became part of the University of New England.